The search for intelligent life in the universe continues. Astronomers are using DiRAC and Piz Daint supercomputers to learn how stellar winds change radio signals emitted from exoplanets so radio telescopes know how to listen. Last week, NASA's New Horizons spacecraft thrilled us with images from its close encounter with Pluto. New Horizons now heads into the Kuiper belt and to points spaceward. Will it find life? That’s the question motivating Aline Vidotto, scientific collaborator at the Observatoire de Genève in Switzerland. Her recent study harnesses supercomputers to find out how to tune our radio dials to listen in on other planets. Model of an interplanetary medium. Stellar winds stream from the star and interact with the magnetosphere of the hot-Jupiters. Courtesy Vidotto. Click for larger image. Vidotto has been studying interstellar environments for a while now, focusing on the interplanetary atmosphere surrounding so-called hot-Jupiter exoplanets since 2009. Similar in size to our Jupiter, these exoplanets orbit their star up to 20 times as closely as Earth orbits the sun, and are considered ‘hot’ due to the extra irradiation they receive. Every star generates a stellar wind, and the characteristics of this wind depend on the star from which it originates. The speed of its rotation, its magnetism, its gravity, or how active it is are among the factors affecting this wind. These variables also modify the effect this wind will have on planets in its path. Vidotto’s research focuses on planets four to nine times closer to their host star than Mercury is to the sun. She takes observations of the magnetic fields around five stars from astronomers at the Canada-France-Hawaii Telescope (CFHT) in Hawaii and the Bernard-Lyot Telescope in France and feeds them into 3D simulations. For her most recent study, she divided the computational load between the Darwin cluster (part of the DiRAC network) at the University of Cambridge (UK) and the Piz Daint at the Swiss National Supercomputing Center. The Darwin cluster consists of 9,728 cores, with a theoretical peak in excess of 202 teraFLOPS. Piz Daint consists of 5,272 compute nodes with 32 GB of RAM per node, and is capable of 7.8 petaFLOPS — that’s more computation in a day than a typical laptop could manage in a millennium. Vidotto’s analysis of the DiRAC simulations reveals a much different interplanetary medium than in our home solar system, with an overall interplanetary magnetic field 100 times larger than ours, and stellar wind pressures at the point of orbit in excess of 10,000 times ours. 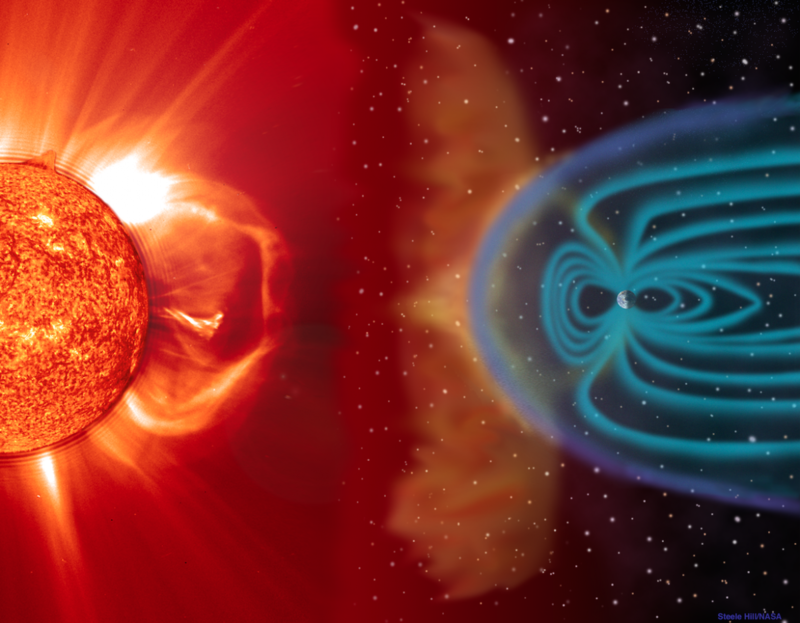 This immense pressure means these planets must have a very strong magnetic shield (magnetosphere) or their atmospheres would be blown away by the stellar wind, as we suspect happened on Mars. A planet's atmosphere is thought to be initimately related to its habitability. 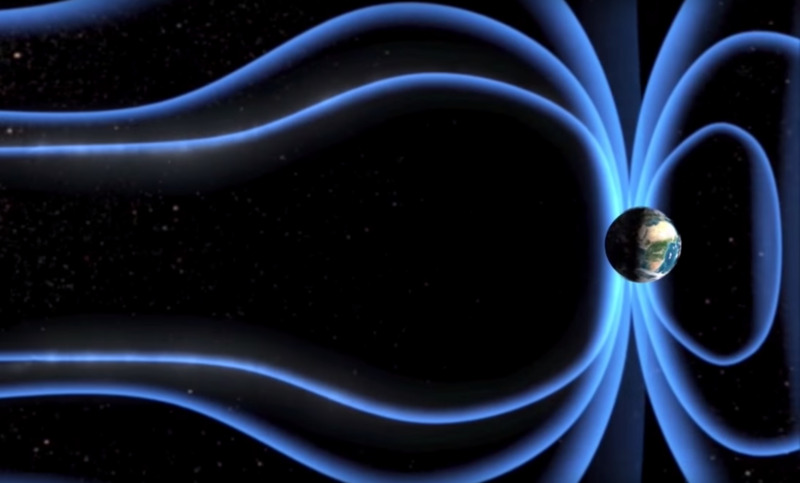 A planet's magnetism can also tell us something about the interior properties of the planet such as its thermal state, composition, and dynamics. But since the actual magnetic fields of these exoplanets have not been observed, Vidotto is pursuing a simple hypothesis: What if they were similar to our own Jupiter? A model of an exoplanet magnetosphere interacting with an interstellar wind. Knowing the characteristics of the interplanetary medium and the flux of the exoplanet radio emissions in this medium can help us tune our best telescopes to listen for distant signs of life. Courtesy Vidotto. Click for larger image. 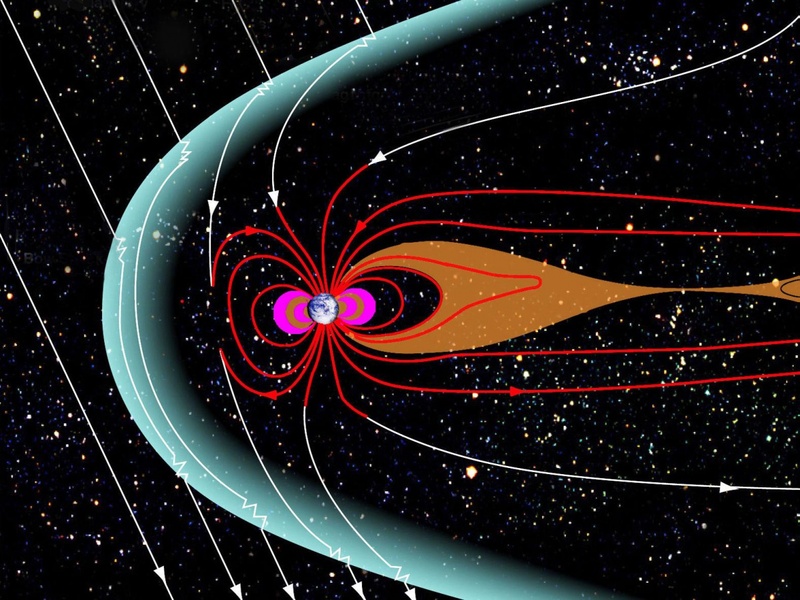 If this were the case, then the magnetosphere around these planets would extend five times the radius of the planet (Earth’s magnetosphere extends 10-15 times). Where it mingles with the onrushing stellar winds, it creates the effect familiar to us as an aurora display. Indeed, Vidotto’s research reveals the auroral power in these exoplanets is more impressive than Jupiter’s. “If we were ever to live on one of these planets, the aurorae would be a fantastic show to watch!” she says. Knowing this auroral power enables astronomers to realistically characterize the interplanetary medium around the exoplanets, as well as the auroral ovals through which cosmic and stellar particles can penetrate the exoplanet atmosphere. This helps astronomers correctly estimate the flux of exoplanet radio emissions and how sensitive equipment on Earth would have to be to detect them. In short, knowing how to listen is a big step toward hearing. Radio emissions from these hot-Jupiters would present a challenge to our current class of radio telescopes, such as the Low Frequency Array for radio astronomy (LOFAR). However, “there is one radio array that is currently being designed where these radio fluxes could be detected — the Square Kilometre Array (SKA),” Vidotto says. The SKA is set for completion in 2023, and in the DiRAC clusters Vidotto finds some of the few supercomputers in the world capable of testing correlation software solutions. While there’s much more work ahead of us, Vidotto’s research presents a significant advance in radio astronomy and is helping refine our ability to detect signals from beyond. With her 3D exoplanet simulations, the DiRAC computation power, and the ears of SKA, it may not be long before we’re able to hear radio signals from distant worlds.